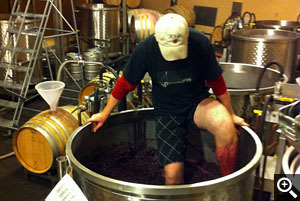 Welcome to the Spring 2011 newsletter from Rhys Vineyards! freshness and depth of these wines. For more information on the 2008 vintage please read our Fall 2010 newsletter. This release includes some of our very best estate Pinot Noirs and our first Syrah from Skyline Vineyard. This is brooding, deep and very complex. The 2008 Horseshoe Pinot Noir is a complete, intense and very ageworthy rendition of this rocky vineyard but please note that it will require several years of cellaring. Skyline’s crazy spicy/rocky personality is one of the most distinctive of all of our Pinot Noirs. This complex personality becomes increasingly pronounced with bottle age. 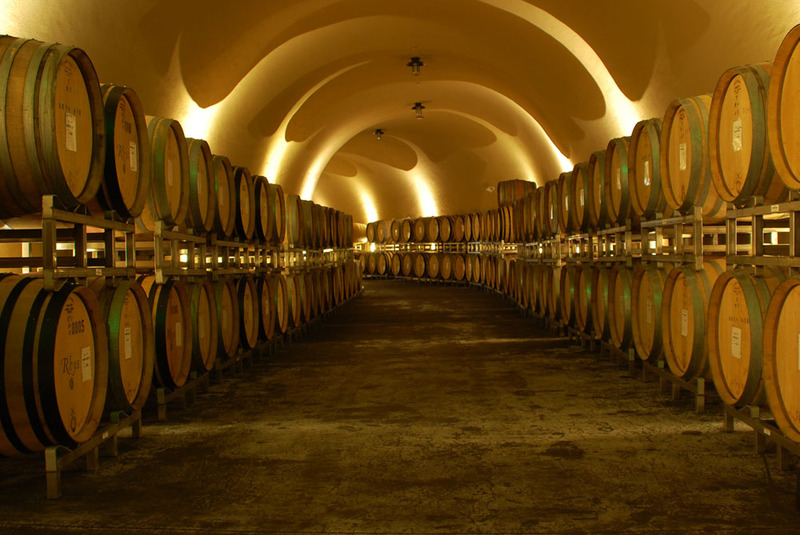 Our new cave has the perfect ambient temperature and humidity for aging wine in barrel. As usual, this is our most elegant and sophisticated Pinot Noir. The east facing, 1.5 acre, terraced section of Alpine Vineyard produces a unique wine that is very different from the south facing slopes that contribute to our Alpine Vineyard bottling. Our first Pinot from our new estate vineyard in Anderson Valley hints at the great potential of this site. The existing vines here are 9 years old and planted on the shallow shale soils of the “Deep End” slopes. This is dark fruited and structured with the special minerally character that brought us to this region. This is the first Rhys produced Syrah that we feel reaches the same heights as our Pinot Noirs and Chardonnays. It is very spicy, layered, balanced and exciting. Like Skyline Pinot, some cellar time will allow this wine to show the serious and complex side of its personality but it is delicious and tempting now. This is our final Alesia bottling and it has been a big hit with customers. Comprised of Pinot Noir from several cool Sonoma Coast vineyards, this wine will drink well earlier than our Rhys estate bottlings. Get it while it lasts! We finally have moved to our permanent winery at Skyline! 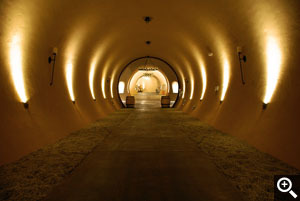 This section of the cave has additional temperature control for Chardonnay production. As some of you may know, we moved into our new underground winemaking facility at our Skyline Vineyard just prior to the 2010 harvest. This move comes 10 years after planting our first commercial vineyards and after 5 years of planning and construction. 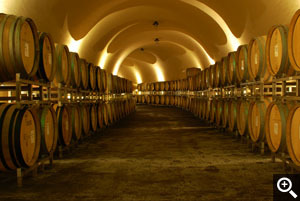 It’s important to remember that Rhys began as a small garage winery operation and the first two commercial vintages, 2004 and 2005, were produced in a 4-car garage adjacent to the Home vineyard. From there we moved to two different warehouse facilities, the last of which was used for our 2007, 2008 and 2009 production. During this period, our estate vineyards matured and production increased until we became an entirely estate grown winery in 2009. The continued support of our customers has made all of this possible and we are very grateful that you have placed your trust in us over the years. The new winery is very exciting as we think it will allow us to take our winemaking to even greater heights. We spent quite a lot of time designing and constructing the cave (we broke ground in 2004) in order to make sure the winery was not only able to replicate the gentle, labor intensive processes we’ve developed, but also provide additional advantages that were unavailable to us previously. 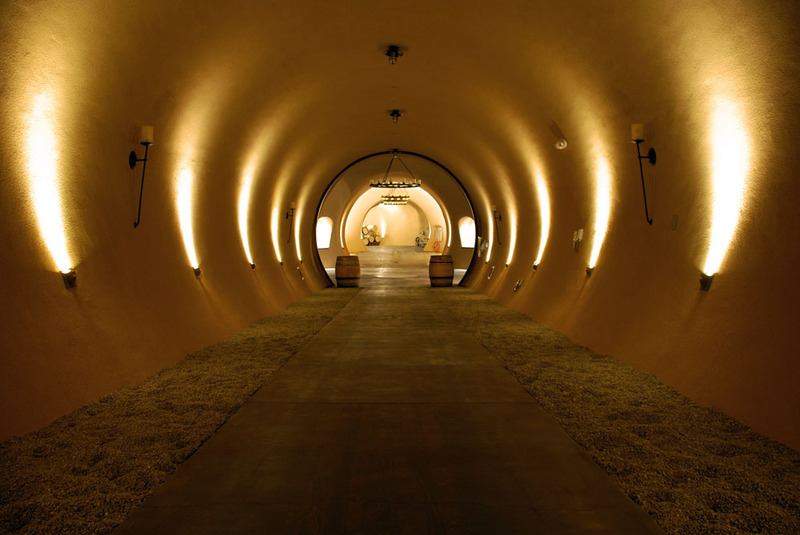 The winery encompasses roughly 30,000 square feet tunneled underneath our Skyline Vineyard. We have about a third of the space dedicated to grape processing and fermentation which is a good thing considering we’re approaching 100 fermentors! The rest of the space is divided between offices, barrel storage, bottling and entertainment spaces. We’ve given ourselves room to expand as well, with overflow fermentor space already built and enough room to cellar two vintages worth of barrels. One idea that we’ve carried over from our previous temporary winery is the organizing of our 1 ton fermentors into small groups. These groups consist of 6 tanks grouped around a small mobile catwalk that provides temperature control and electricity to each tank. We call these groups “tank pods” and they allow quick access for foot punch downs and the essentials needed for heating and cooling the tanks. Though we have grown, we still make wine with the same labor-intensive small vats and foot punchdowns. At Rhys, we’re committed to fermenting in small batches by hand (or foot!) without the use of pumps. In our case, that means nothing larger than a 1-ton fermentor. This gives us optimal control of ferments, allowing us to closely monitor temperatures and overall fermentation health. Since we use native yeasts and avoid additives, it’s important to keep a watchful eye on their progress. The small fermentor size also allows us to do foot punch downs (pigeage in French), critical for gentle extraction. But the biggest advantage to the small fermentors is the ability to micro-vinify subsections of our vineyards. Since each fermentor translates into a 2 barrel lot, we can follow the changes in exposure, clone, rootstock or any other vineyard variable all the way through the life of the wine. This gives us the ability to separate out special selections, like our Swan Terrace bottling, and ensures that the final blend comprises only the best barrels. Although it can be tricky to manage so many simultaneous fermentations, we wouldn’t have it any other way. As we tell our harvest interns at the beginning of the crush, we may not crush many tons, but the amount of hours we spend per ton is impressive. With a labor intensive process such as ours, efficiency becomes important. We’ve laid out our facility to allow for a logical procession of the work, starting with a grape receiving room that we can cool to 40 degrees. A cooled room means we can continue to process at a slow rate, sorting clusters carefully even if we’ve picked more than we can process in a day. This greatly enhances our ability to pick grapes at the perfect moment which is often critical during California’s late season heat spikes! We are able to offer our 08 Alesia Sonoma Coast Pinot Noir without any purchase limits. This is our final offering of Alesia Pinot Noir so stock up! Meanwhile, we apologize in advance if you are not allocated our Swan Terrace or Skyline Pinot Noirs. These parcels are quite small and production is limited. Allocations at Rhys are based on aggregate purchase history. If you are not allocated all of the wines that you would like, please remember to fill out the “Wish-list Quantity” column of the order page on our website, as we are often able to fill these requests. As usual, all wines are offered with free ground shipping and UPS 3 Day Select is offered as an upgrade. Also, we will be hosting a pickup day at our new Skyline cave on Saturday, February 26th from 10AM – 3PM. In addition to a tour of the new winemaking facility, we will be providing a preview of a couple of the wines from the 2009 vintage. If you would like to attend the pickup day, please be sure to select “Pick-up at Winery” shipping option during checkout. If you have any questions, please contact us at info@rhysvineyards.com.